The D-2 is a dual mode, universal detector system which can be retrofitted to your older GC. 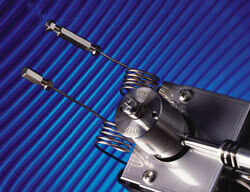 The D-2-I is a helium photoionization detector, optimized for trace level work with packed columns. 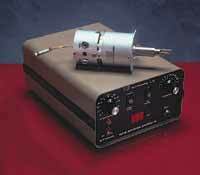 Model D-3 is optimized for trace level work in the helium photoionization mode, with plug-and-play capability for both the 6890 and the 7890. Model D-4 is available in version for easy installation on most of the GCs in current use. It is optimized for helium photoionization. The miniPDD uses about one fifth (20%) the amount of helium as the D-3 and D-4 versions, giving up only a bit of sensitivity and dynamic range in return.